Marking its return to the diesel outboards market, YANMAR MARINE INTERNATIONAL (YMI) has agreed exclusive distribution rights with German outboard manufacturer NEANDER Shark. YMI, whose headquarters are in the Netherlands, is to distribute NEANDER Shark outboards worldwide through its extensive network with access to more than 130 countries. From 1985 until 2009 YANMAR manufactured three-cylinder diesel outboards rated at 27 and 36 hp, but ceased when EPA and EU RCD emissions regulations restricted their sales in key markets. “With the global economic downturn in full swing, YANMAR decided at that time not to invest in the outboard range even though it had been highly successful in many markets,” explains Floris Lettinga, YMI Global Sales Manager. “Now, however, with NEANDER Shark we can offer a highly competitive outboard product with outstanding engineering”. The NEANDER Shark outboard develops 50 hp using a small 800 cm³ turbocharged, twin-cylinder diesel engine in aluminium with common-rail fuel injection and a unique dual counter-rotating crankshaft concept. “This means that the outboard is not only light, powerful, clean and fuel-efficient, it is also remarkably smooth in operation as the two crankshafts counterbalance each other and cancel out most of the vibration that a conventional inline two-cylinder diesel block could be expected to produce,” Floris Lettinga says. “Therefore the outboard can be easily, operated at the tiller as well as from the helm. The lack of vibrations and low noise level are remarkable, improving operation comfort yet delivering impressive performance”. The prime applications for the NEANDER Shark outboard will be in the commercial marine, offshore, military, fishing, rescue and charter-sector. It would also perfectly serve tender boat requirements on large yachts storing diesel fuel only. 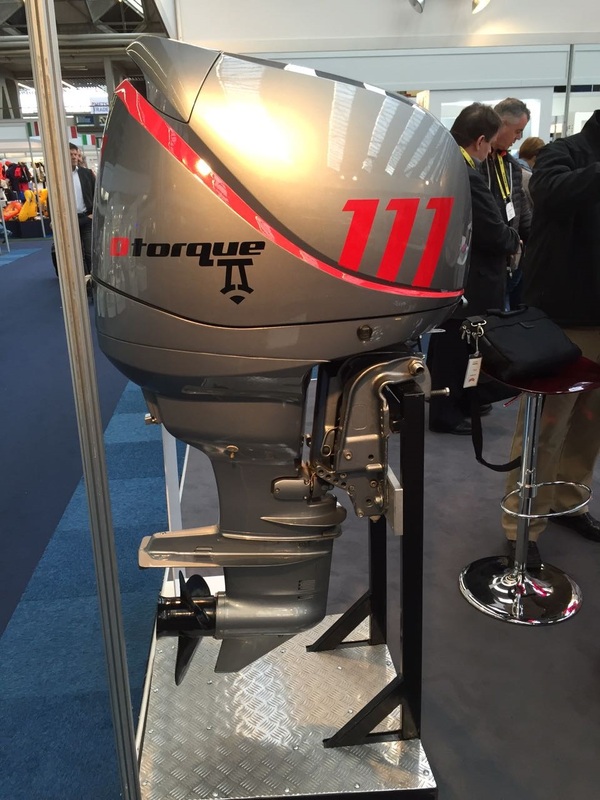 Seascape Marine Services look forward to being able to offer and supply the D – Torque outboards units once they become available late 2017 to early 2018.